One thing I've learned from marathon training is that I need to listen to my body. If my body is pointing out aches and pains or tightness, I turn to yoga. My journey with yoga started last summer when I was training for my first marathon. I was contacted by Terry and Jenn from Yoga to Run to try out an introductory marathon/yoga program which provided participants with training plans incorporating yoga and running. By making yoga part of my weekly routine, I quickly came to realize that my aches and pains with long runs, subsided quickly and I successfully completed marathon #1 injury free. Terry and Jenn taught me many valuable poses that I still use today. I am sad that I live too far away from Terry's new yoga company and cannot make her classes regularly; however, that doesn't stop me from practicing yoga. While I prefer to attend a class, I have found that when my schedule doesn't allow for me to attend a class, I can use one of the yoga DVDs, or use any of the online yoga sites for a class. Even if I only have time to squeeze in 10 minutes of sun salutations and pigeon pose, I do feel noticeably better afterwards. Right now I’m nearing the end of training for marathon #2 and yoga has been a huge part of my training again. This time around, I’ve been focusing more on hill training, as this year’s marathon course is on Mount Desert Island (note: incredibly hilly course). With the increase in hill training, I’ve noticed an increase in tightness in my glutes. Yoga has been a godsend in stretching out those muscles. I don’t only practice yoga for it’s benefits with stretching out my poor tired-marathon-training muscles, I’ve also come appreciate and desire the need to practice yoga on some incredibly stressful days. If you remember, I’ve just started teaching at a new school. While I am very happy with this change, the transition has been rather stressful. 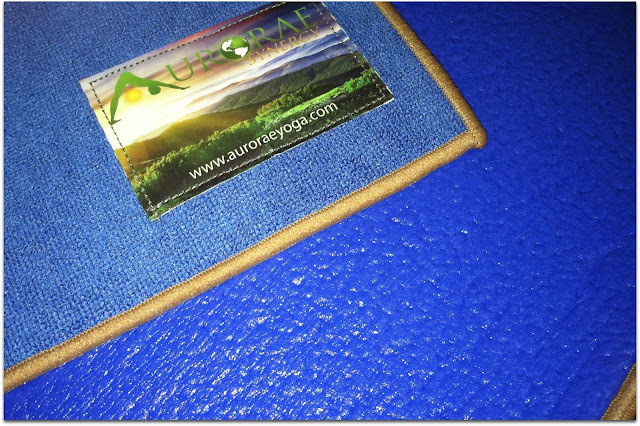 When I notice myself feeling agitated, I go to my closet and pull out my Aurorae Synergy mat and practice yoga. For the past month, I’ve been practicing yoga on my new Aurorae mat. Aurorae Yoga was founded by Dennis Ingui, a cancer survivor since 2001. Dennis found peace of mind while building up his body with yoga. It is his goal to provide his customers with the highest quality yoga mat that are both longer and thicker than most of the mats on the market. You can read more about Dennis and his journey here. 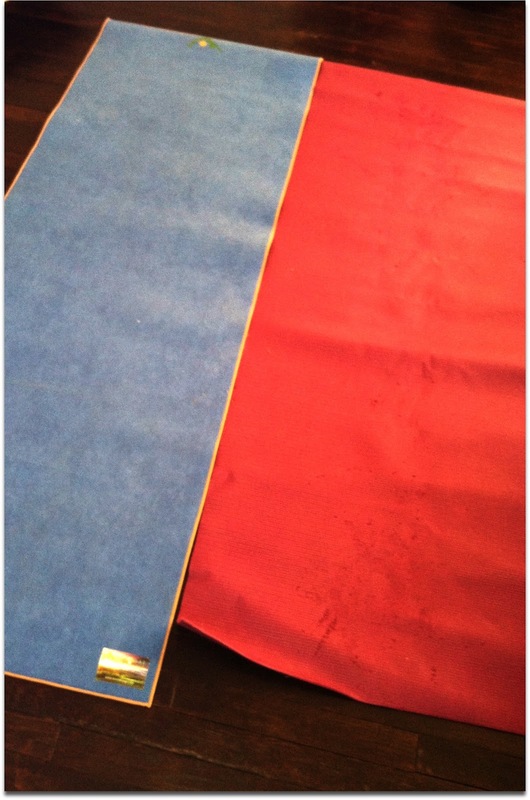 I cannot believe the difference between this mat and my old, cheap, Target mat. 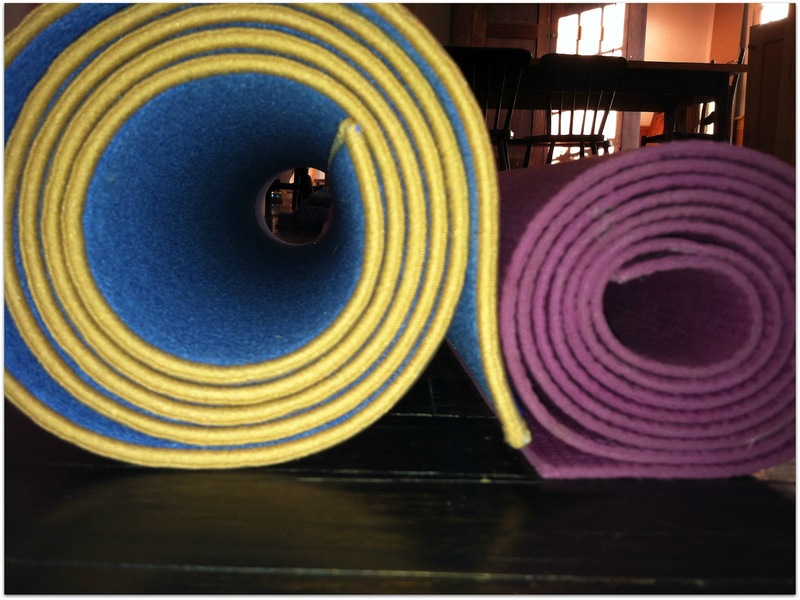 I seriously thought all yoga mats were the same. This mat opened my eyes to the world of what a high quality mat is like and why I will never again buy a cheap mat. First of all, my old, raggedy purple mat from Target is falling apart. It was embarrassing to be at a hot yoga class and have little bits of purple all over the floor and all over my legs and hands. My old mat is also quite slippery. I was constantly slipping around and needed to reposition myself. I feel quite certain that this will not happen with my Aurorae Synergy mat. 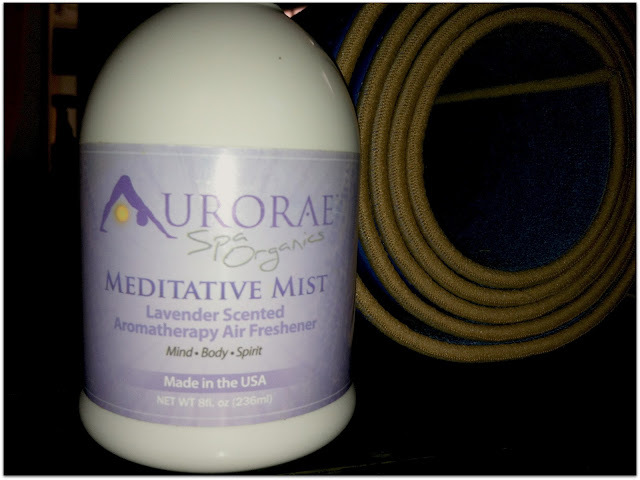 I also received Aurorae's Spa Organic Lavender Meditative Aromatherapy spray with my mat. Lavender is one of my favorite smells and is an instant soother for me. A spray or two from this bottle on my mat enhances my Aurorae yoga mat experience. Check out Aurorae on Twitter, Facebook, Pinterest, and Google+. I wrote this review while participating in a BlogFriendlyPR campaign on behalf of Aurorae. All opinions are my own and no compensation was received. Great post Jen! I've been incorporating yoga into my training much more this time around and am also noticing a huge difference! Since I'm always on the go though, I don't get to class as often as I'd like...can you recommend some of your favorite DVDs or websites for yoga? I agree that yoga is amazing for de-stressing and relaxing you. I rely on yoga to stretch out and release tension (mental and physical). Yay yoga!!! I just began yoga two weeks ago and am completely in love! I never knew how amazing it was, but I'm hooked now! Wish I had one of those mats! They look great! Spa love! I agree, yoga is an added bonus to marathon training - can make all the difference in the world! Funny, I prefer to do yoga at home alone over a class setting. Love the idea of lavander spray... Adding that to my bday list right now. I would love a thicker yoga mat. I can feel my knees hit the floor through mine! Nice review. YAY YOGA! I agree yoga and running go hand-in-hand. Definitely checking out that mat spray, I also LOVE LAVENDER! GREAT POST! I have to have that Mat Mist! Look incredible! Great post! 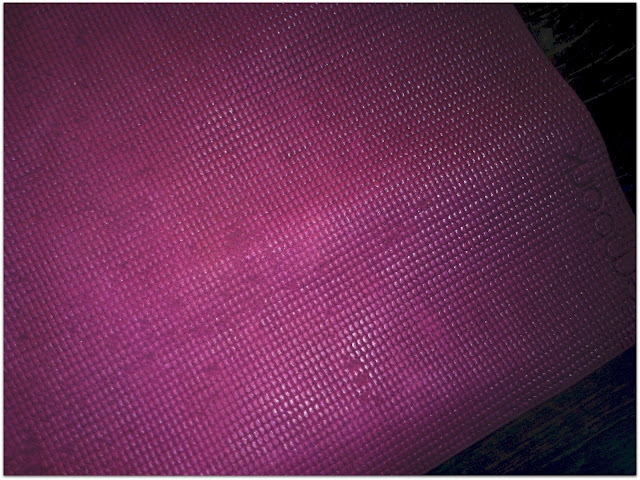 A non-slippery mat is so important (especially in hot yoga!). I really need to try yoga, maybe sometime soon! click here Online Yoga Training.